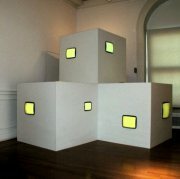 modCubemon is the most recent variation of an ongoing series of video installations entitled Modular Video Installations. 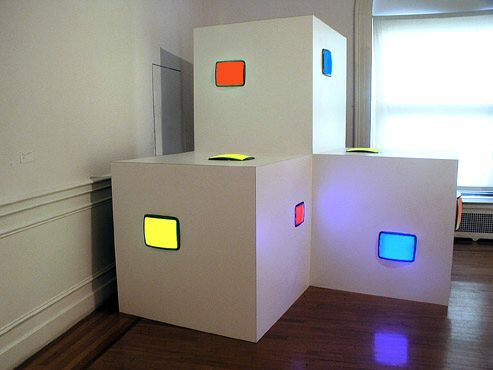 Plastic laminate panels have been constructed into three sided cubes, each cube 4' x 4' x 4'. 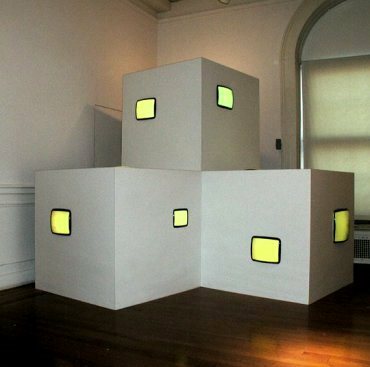 The version at the Gershman Y consists of three cubes. These modular cubes could be arranged in different and/or larger arrangements (see computer renderings for other configurations of modular video cubes). 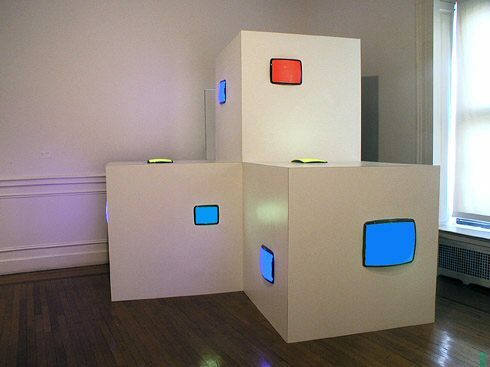 A television monitor has been embedded into each of the solid faces of the laminate cubes. In modCubemon each monitor plays a digital video consisting solely of solid colors, alternating between solid yellow, blue or red.